"Your birth your way since 1989"
Slogan: "Your birth your way since 1989"
Best Start Birth Center exists to improve the health and well being of mothers, babies, and their families. Best Start uses Certified Nurse Midwives as well as Obstetricians to ensure the highest quality health and safety standards. 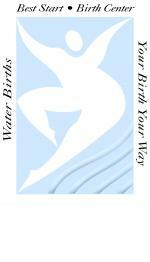 We are the only state licensed, nationally accredited birth center in San Diego that offers Water Births!